No-contact Orders, Recall of No-contact Orders, Termination of No-contact Orders, Children and No-contact Orders, Limitations on Access to Firearms and Other Deadly Weapons. (This content is adapted and taken largely from: the Prosecutors’ Domestic Violence Handbook (2014), prepared by the Washington Association of Prosecuting Attorneys and the King County Prosecuting Attorney’s Domestic Violence Unit (Authors: Carrie Hobbs, Pam Loginsky, and David Martin). One of the most critical aspects of a domestic violence case is the issuance of a no-contact order. 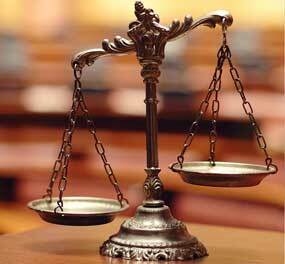 A no-contact order may be entered by a court at any point in time and is quite common as part of pretrial release. RCW 10.99.040-.044 authorizes the court to issue a no-contact order (“NCO”) prior to or at arraignment. The NCO may include conditions related to possessing or surrendering firearms and other dangerous weapons, pursuant to RCW 9.41.800. A no-contact order for the maximum allowable period should always be entered when the alleged victim requests a no-contact order. No prosecutor should ever rely upon phone contact or expressions of the alleged victim’s wishes regarding a no-contact order from the defendant, defense counsel or others related to the defendant. Victim advocates and/or the alleged victim often give an informed but pro-prosecution opinion as to whether an order is necessary. It is better to err on the side of caution and request issuance of an order if you have not had any contact with the alleged victim and/or are unsure of whether an order is needed to protect the alleged victim or the alleged victim’s children. If the alleged victim appears and does not want a no-contact order, a prosecutor must give the alleged victim access to the court in order to address the NCO. All prosecutors consider risk factors in deciding whether to object including the nature of the case, the history of violence, both reported and unreported, or if there is any indication that the alleged victim is being coerced, intimidated or influenced on the issue of the no-contact order. Prosecutors and their DV Advocates routinely advise the alleged victim that ANY violations of the order, regardless of how minor they may seem to the alleged victim, should be immediately reported by calling 911. The defendant is advised that the alleged victim does not control the case and that the defendant will be subject to arrest even if the defendant believes the alleged victim has initiated the contact. The prosecution also advises the alleged victim that she should keep copies of the order in her house, car and purse so that the officer responding to a 911 call will have grounds to arrest the suspect on the spot. If the alleged victim lives or works outside of Washington, the prosecutor and/or legal advocate explain how the alleged victim can obtain full faith and credit for (i.e., enforcement of) the order in another state. A NCO must substantially comply with the pattern form developed by the Administrative Office of the Courts (AOC). RCW 10.99.040(2)(c). The AOC form contains the warnings mandated by RCW 10.99.040(2)(c). The AOC form contains warnings mandated by RCW 10.99.040(4)(b). The AOC form also alerts the defendant that the order does not modify or terminate any order in any other case and that the order is entitled to full faith and credit in all 50 states, the District of Columbia, Puerto Rico, any United States territory, and any tribal land within the United States. The Court is required to make a finding regarding the defendant’s relationship to the alleged victim. A finding of “intimate partner” will subject the defendant to federal firearm restrictions and will preclude the defendant from obtaining a concealed weapons permit. See 18 U.S.C. § 922(g)(8) and (9); Laws of 2011, ch. 294, amending RCW 9.41.070 (eff. July 22, 2011). “Intimate Partner” includes former/current spouses, parents of common child, or former/current cohabitants as intimate partners. 18 U.S.C. § 921(a)(32). In addition to No-contact Orders, an abuser’s access to his or her alleged victim may be limited through the issuance of restraining orders, protection orders, and anti-harassment orders. Each court is required to establish a procedure by which the alleged victim may seek modification or termination of a no-contact order. RCW 10.99.040(7). Because alleged victims are not parties to the criminal matter, the procedure may simply direct the alleged victim to contact the prosecuting attorney or the defense attorney. Some courts will authorize alleged victims to file a motion to modify or terminate the no-contact order in the criminal case. Pattern forms for alleged victim-initiated motions may be found on the AOC’s website, but these generally have a better chance of being granted when an experienced attorney helps the alleged Victim (movant to lift the NCO) draft the motion and supporting declaration. Pre-trial no-contact orders will expire when charges are dismissed, or when the defendant is acquitted, unless it is lifted by motion of the alleged Victim. A pre-trial no-contact order will also expire on the date specified in the order. This date is not extended by a defendant’s fugitive status, if any. An alleged victim may also apply for a chapter 26.50 RCW civil protection order while the defendant is in custody awaiting his first appearance or arraignment. A chapter 26.50 RCW DV Protection Order (“DVPO”) can provide the alleged victim with protection even if the charges are dismissed or the defendant is acquitted. At the time of filing of the DV charge(s), and in pretrial proceedings, a court may enter no-contact orders protecting (in addition to the primary victim – often, but by no means always, the defendant’s wife or girlfriend) children who have been alleged victims or merely witnessed the alleged domestic violence. However, at the time of sentence, unless there is a stipulation between the parties, there are legal restrictions on no-contact orders regarding such children. This is because there is a fundamental right to parent that is recognized in the constitution and case law interpreting it; thus, courts may not impose no-contact orders between a defendant and his or her own children without explicitly conducting an analysis on the record in light of this fundamental constitutional right. No matter how obvious it might seem that further contact with the defendant would be harmful to the child, the record must reflect that the sentencing court conducted this balancing analysis. So, restrictions on the right to parent can only be imposed with a finding on the record by the trial court that the restriction is "reasonably necessary to prevent harm to the children." State v. Ancira, 107 Wn.App. 650, 653, 27 P.3d 1246 (2001). The court must also justify the length of the restriction with a greater showing of necessity required for a longer no-contact order than for a shorter one (e.g., one lasting for years, etc.) In re Personal Restraint of Rainey, 168 Wn. 2d 367, 381-82, 229 P. 3d 686 (2010). Manner and Types of No-contact and Protection Orders. When issuing a no-contact order pursuant to RCW 10.99, the court may restrict the authority of a defendant to possess a firearm or other dangerous weapon if the court finds either that the defendant previously used or displayed a firearm or other dangerous weapon in a serious offense or that the defendant previously committed an offense (such as assault against a family member) that makes the defendant ineligible to possess a firearm. Under certain circumstances, the court must prevent a defendant from possessing a firearm. Many jurisdictions have a surrender and forfeiture program for firearms related to domestic violence offenses. Against this backdrop of very strict government / prosecutorial policies, I have consistently been able to assist many hundreds of clients and their families take the right steps at proactive self-rehabilitation, treatment and the like, so that alleged victims’ motions to lift, modify and terminate No-contact orders is granted. 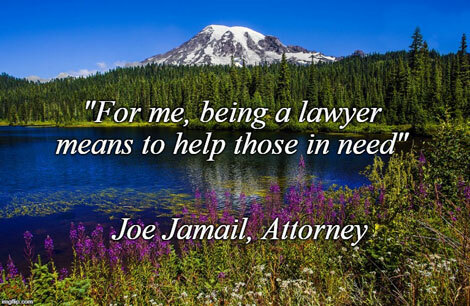 Get real and experienced help from a proven King County assault Attorney who knows his way around the system. Call me, Attorney Phil Weinberg, at (206) 624-1662 today for a thorough initial consultation and case evaluation at no cost.